Graphic Era Hill University (G.E.H.U.) 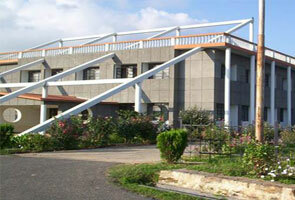 is one of the largest university in state of Uttrakhand. G.E.H.U possesses a state of the art infrastructure and experienced faculties to help students in shaping up life of their dreams. 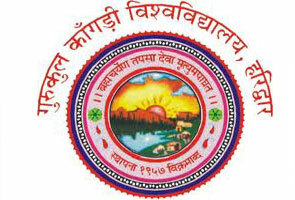 The university was established in 2011 by an act of Uttarakhand State (Act No. 12 of 2011) under the guidance Graphic Era Educational Society to impart technical and professional education in the far flung hilly areas of Uttarakhand. The university is an ISO 9001:2008 QMS Certified University, G.E.H.U. has two most popular campuses situated in Dehradun and Bhimtal, both in Uttrakhand. GEHU’s mission is to impart teaching to students which promotes learning in the true spirit. The university provides special facilities to natives of Uttrakhand by offering them 30% reservation in seats and 25% allowance in fees on all subjects. 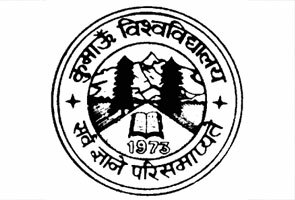 The university provides world class education to students of remote areas of Uttarakhand and is one of the most sought after universities in Uttrakhand. The university has many collaboration with international universities which provides students with unique opportunities to understand the business requirement and application of their subjects in practical. Graphic Era Hill University offers courses in esteemed field of education such as Engineering & Technology, Management, Computer Applications, Architecture & Planning, Humanities & Social Science and Allied Sciences. The university currently offers more than 21 under graduate, post graduate and doctoral courses. The students can avail courses from any campus of G.E.H.U in Dehradun or Bhimtal. Students can opt for Bachelor courses in Engineering, Technology, Law, Management and others from this university. The degrees are accepted all over world from many prestige institutions and students can rely on placement facilities provided by the university to get job of their dreams. • Resident facility: The University provides well- furnished and well equipped hostels for both girls and boys with capacity of more than 1500 students. Hostels are within the campus and are well guarded with proper security installments. There are separate hostels available for both girls and boys with many options such as number of students staying in one room etc. Food facility is also available within the campus as well as hostel. • Library Facility: The University provides its student s with educational resources from all over the world. The students can avail books in physical as well as in digital format. • Academic Facility: The classrooms are spacious with proper air ventilation, laboratories are well furnished with state of the art equipment. Computer labs with hi-speed internet facility and conference hall along with workshops make studying in this university a pleasurable as well as memorable experience for the students. • Sports Facility: Sports facility along with proper medical attention makes trainers of today achievers of tomorrow. Graphic Era Hill University provides admission in various fields of educations and students can avail admission in their desired stream by following a simple process. Student will need to submit his application form, which is available at university office as well on the website for Rs 1200. Completely filled downloaded application form will be sent along with the required documents to the address mentioned below with a demand draft of Rs. 1200/- in favor of Graphic Era Educational Society payable at Dehradun.